Earlier this year the Origin EON-15X was the first gaming laptop to feature a desktop grade processor, and now Nvidia has started packing notebooks with desktop grade GeForce GTX 980 GPUs. To this end Nvidia has begun working with laptop manufacturers to create new portable gaming rigs specifically built for enthusiasts who need the extra performance for VR gaming and mulit-screen setups. 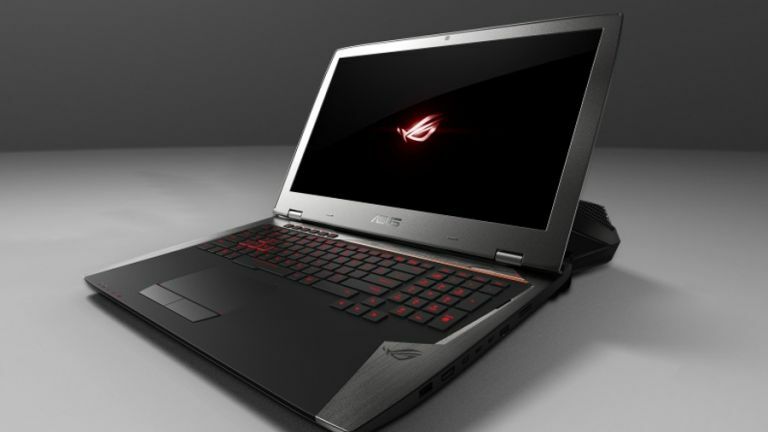 The gaming laptops come with select GTX 980 graphics cards and faster 7Gbps memory. Thanks to a beefed up motherboard with four to eight phase power supplies and full fan control, these laptops are also built for overclocking both the GPU and CPU. With a gaming laptop like the MSI GT72 Dominator, users can expect high frame rates such as 84fps in Metal Gear V: The Phantom Pain and 61fps in Witcher 3: Wild Hunt. Beyond full HD gaming, Nvidia's GTX 980 equipped gaming laptops are made for surround gaming with the ability to drive up to six million pixels on Ultra settings. Nvidia has gone so far to call them the world's first virtual reality gaming notebooks as they're able to drive two 1,680 x 1,512 screens at the same time. To start Nvidia has introduced six GTX 980 notebooks including the liquid-cooled Asus ROG GX700 and mechanical keyboard-equipped MSI GT80 Titan. The Aorus X7, Clevo P870DM, Clevo P775DM and MSI GT72 Dominator have also been equipped with the desktop grade GPU.